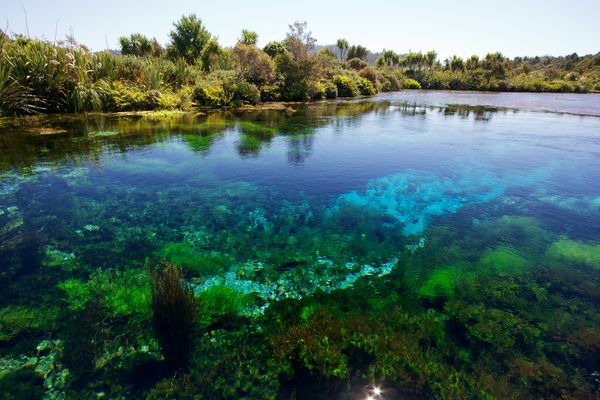 "Te Waikoropupu Springs are the largest freshwater springs in New Zealand and the largest cold-water springs in the Southern Hemisphere. According to Roggo, they contain some of the clearest water ever measured. Roggo made this picture a few weeks ago by mounting his camera on a pole. He made no contact with the water, because touching it in any way is prohibited in order to protect water quality and cultural heritage."